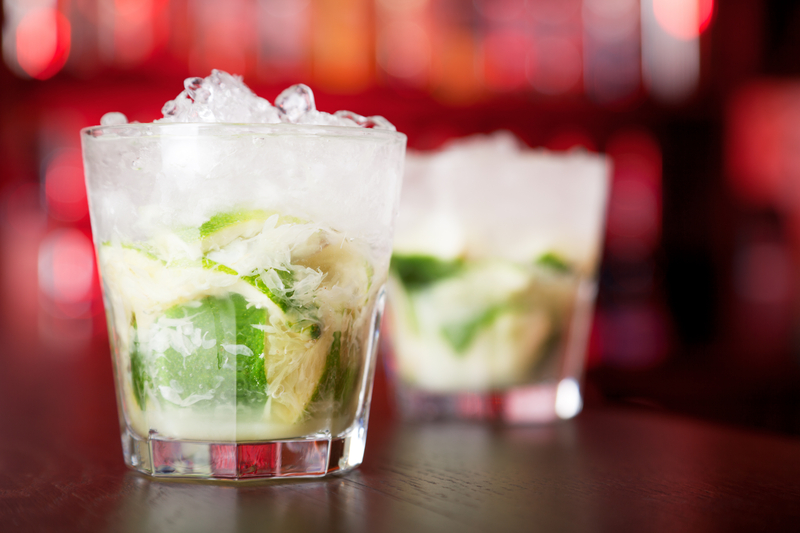 Recipe - Caipirinha Plenty of ice (preferably crushed) Garnish with a peeled stick of sugar cane, if available Cut the lime into small wedges and place in a glass with the sugar. Squeeze together (muddle) to product plenty of juice. Then just add the crushed ice, followed by the Cachaça. Cut the lime into small wedges and place in an Old Fashioned glass with the sugar. Squeeze together (muddle) to produce plenty of juice. Add crushed ice, followed by the Cachaça. Garnish with a peeled stick of sugar cane, if available..